With Brexit just weeks away, our technical analyst assesses the odds of a recovery at this struggler. 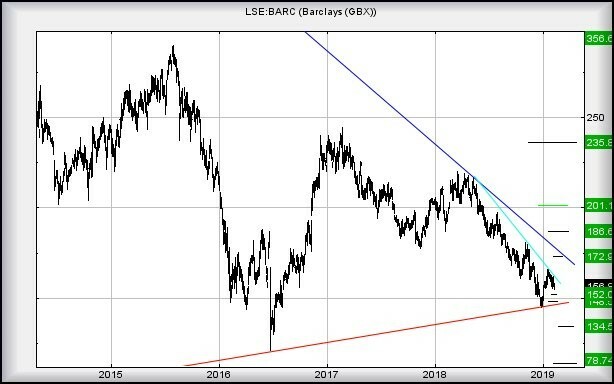 At the start of 2019, Barclays was 'almost' looking interesting. We've commented on our in-house thinking; the banking sector shall prove the real barometer of Brexit prospects. If this is the case, the prospects look pretty confused presently. At present, weakness continuing below 155p looks capable of traffic down to an initial 152p, along with a probable short-lived bounce. Our secondary, if (when) 152p breaks is a bottom hopefully at 148p. As the chart below illustrates (badly due to scaling issues), should Barclays hit 148p it can expect a bounce against the Brexit vote uptrend. Quite surprisingly, this uptrend actually stretches back in time to 2009 and the shambles which was "the last crash". This creates quite a difficult scenario as the bank share price really cannot afford closure below the red line on the chart. This would be a bad thing, launching the share price into territory where some epically poor drop potentials calculate with slight rebound potentials, while the Big Picture allows a bottom at 78p eventually. 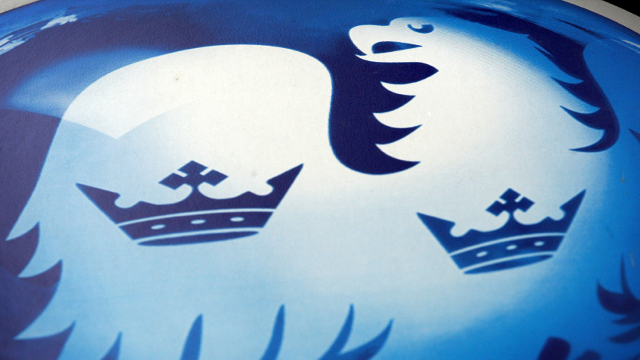 Of course, as with everything, there's a "however" and, in the case of Barclays, it's at 166p. The share price only requires a trade above such a level to launch itself into a region where 172p is our initial expectation. With closure above 172p, it shall exceed a downtrend since 2008 and giving ample expectation for continued recovery to 186p and beyond. For now, it's messing around and we shall not be surprised to witness the price oscillate between 148p and 166p until whatever Brexit means becomes clear.